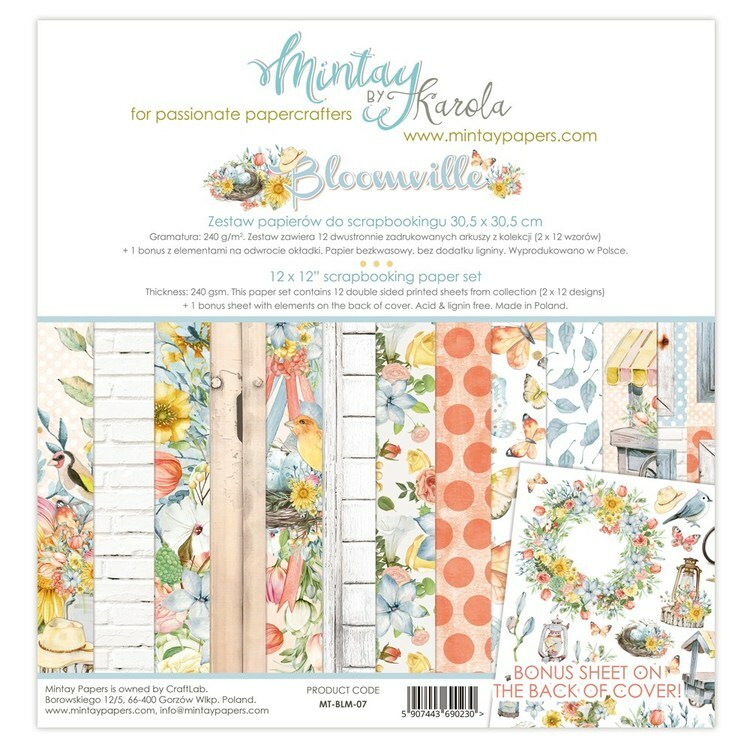 Bloomville is an idyllic little town where life goes on in accordance with the rhythm of nature. 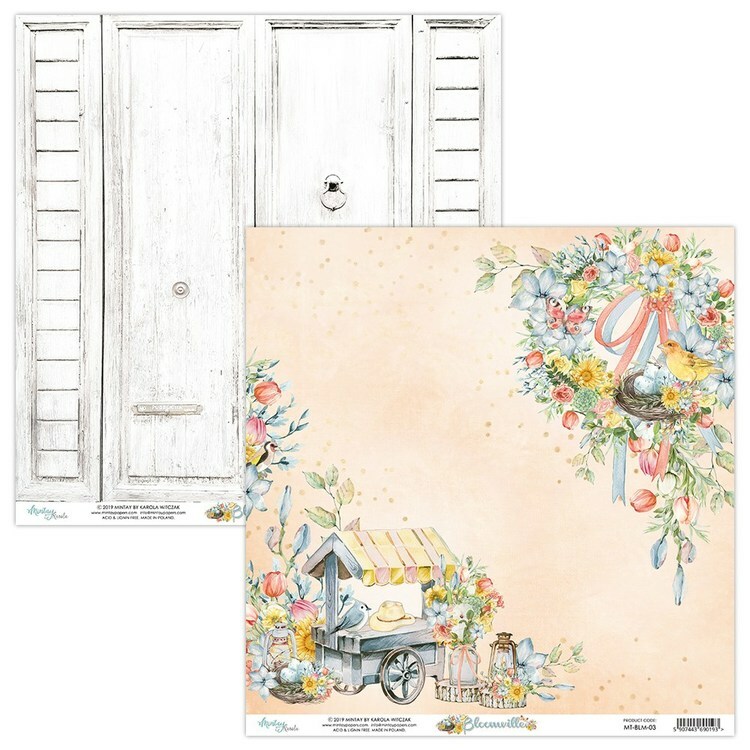 You can find here charming houses made of old bricks, wooden shutters and lush flowery gardens. 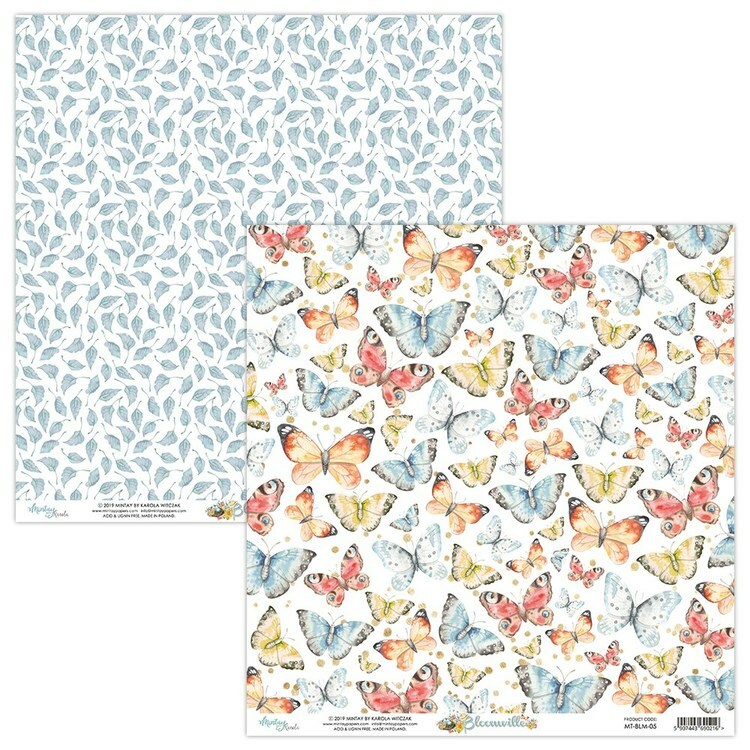 This joyful collection moves to a place full of flowers, birds and butterflies. 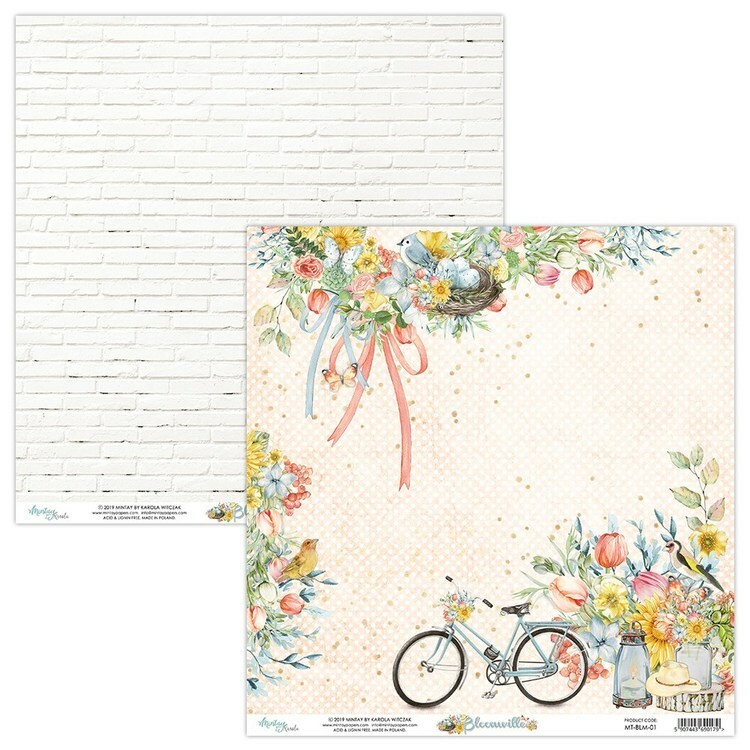 „Bloomville” is also about versatile backgrounds, thanks to which we are able to create many projects on any topic. 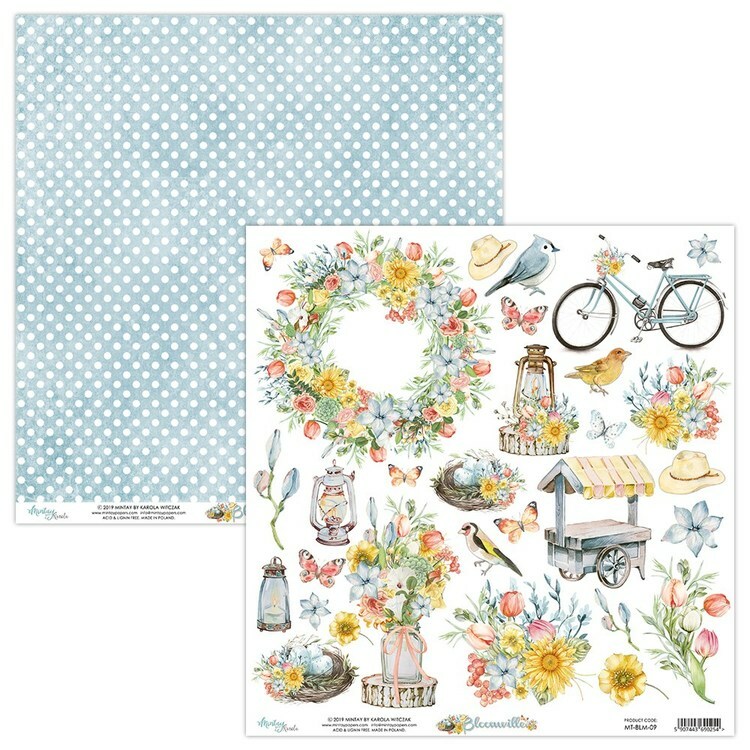 Also perfect for creating Easter Projects. 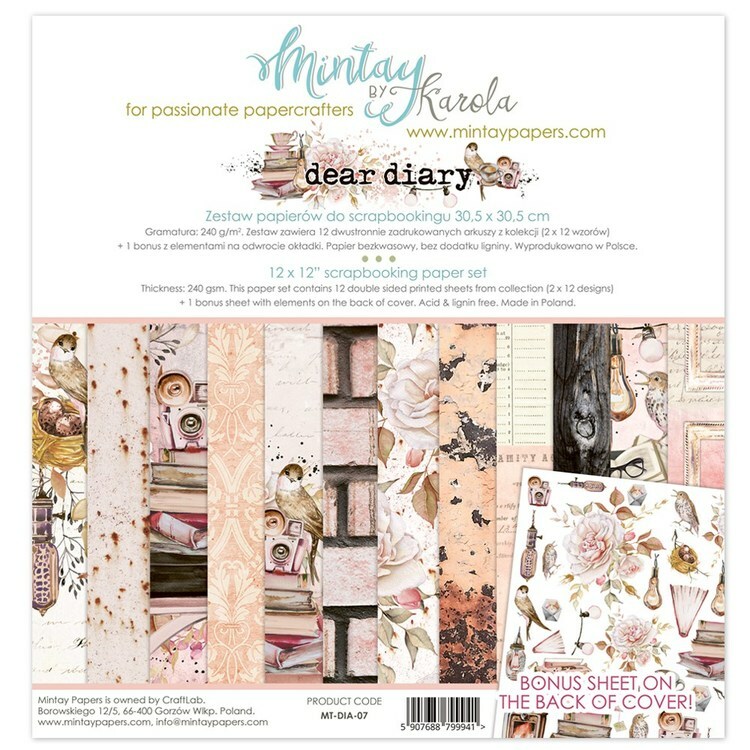 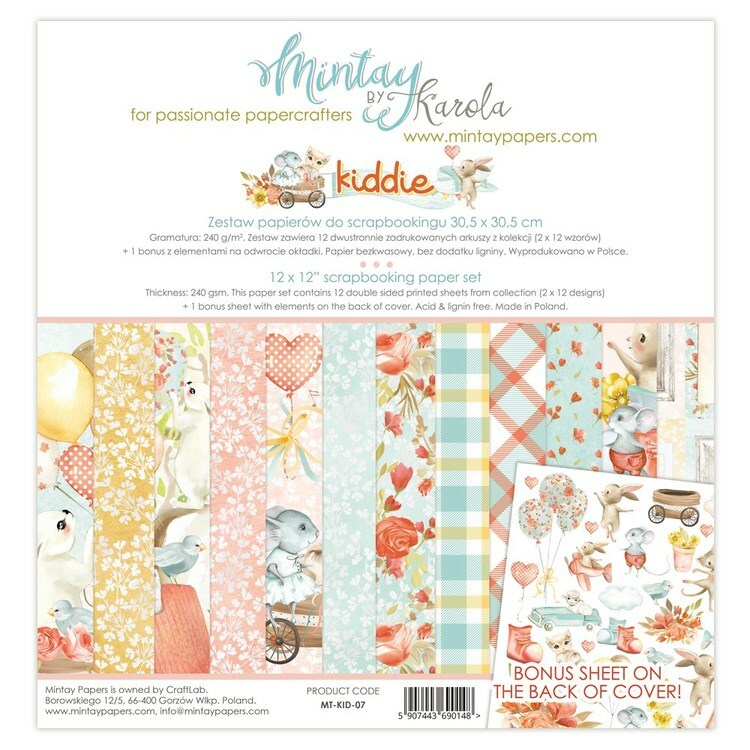 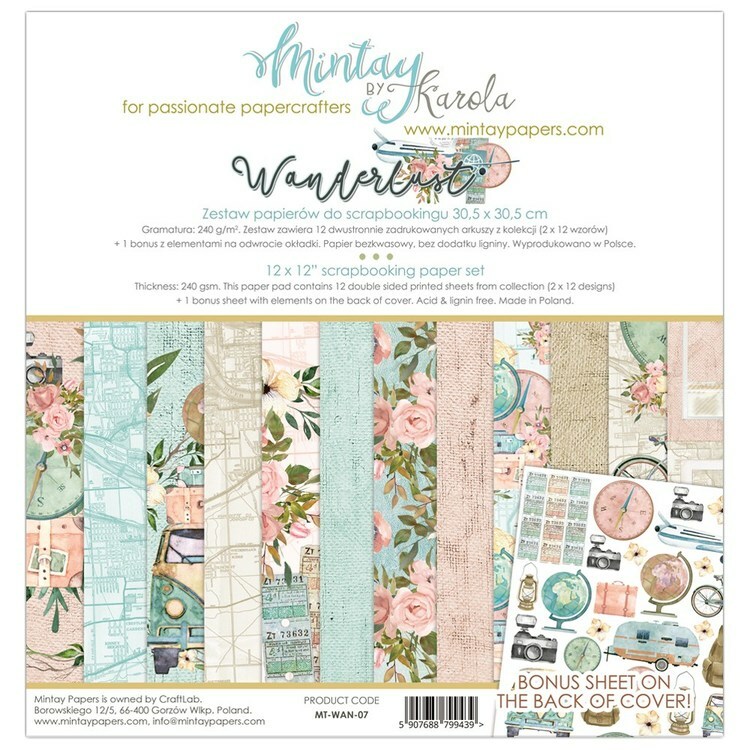 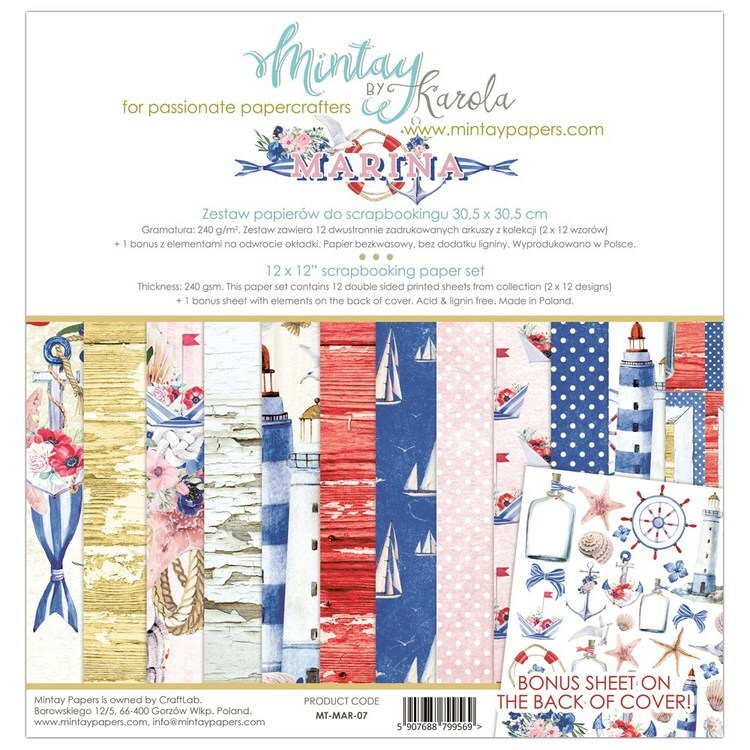 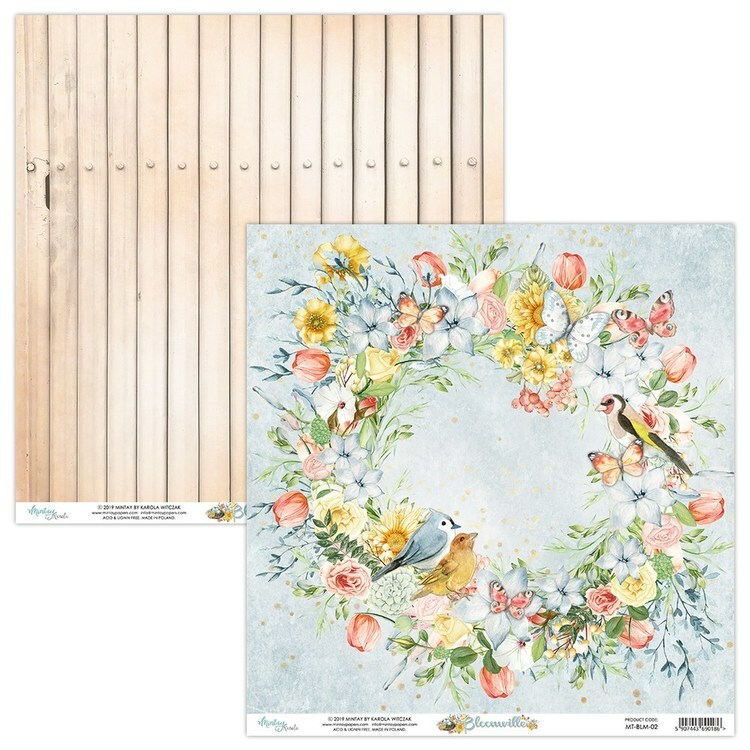 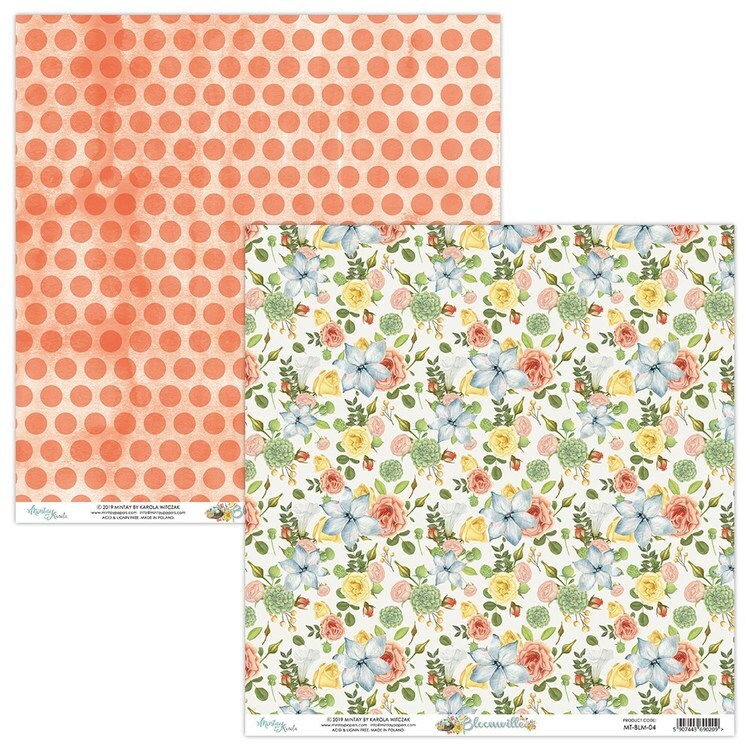 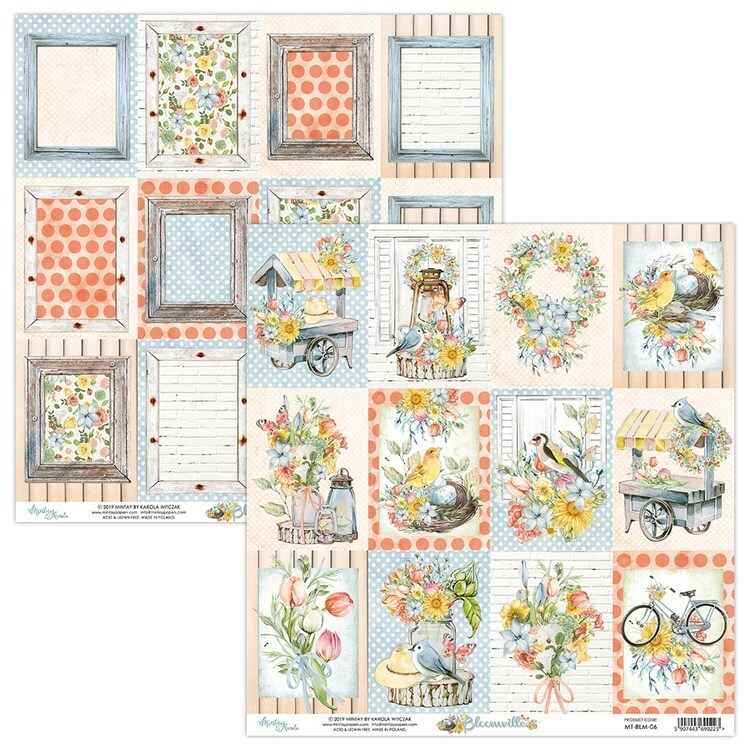 Mintay Papers are paper collections for scrapbooking and cardmaking.